4/30/2005 Over 1,400 Articles Posted! 96,000 People Downloading A Salvation Page Per Year! It will always give a Christian the greatest calm, quiet, ease, and peace, to think of the perfect righteousness of Christ. How often are the saints of God downcast and sad! I do not think they ought to be. I do not think they would if they could always see their perfection in Christ. There are some who are always talking about corruption, and the depravity of the heart, and the innate evil of the soul. This is quite true, but why not go a little further, and remember that we are "perfect in Christ Jesus." It is no wonder that those who are dwelling upon their own corruption should wear such downcast looks; but surely if we call to mind that "Christ is made unto us righteousness," we shall be of good cheer. 1. 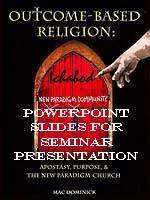 Power Point Slides From Seminar '"Outcome Based Religion: Apostasy, Purpose, and the Paradigm Shift" -- This exciting CD will show the actual powerpoint slides Mr. Dominick shows in this seminar, in the exact order in which he presents them. Thus, after you see his presentation at the seminar, you can take these slides and prepare your own presentation! So many people want to present this material to their pastor, to deacons, and to friends. Now, you can prepare your own presentation or use it exactly as Mac uses it! All these materials will be offered as "Show Specials" for the people attending. Breaking News: Rick Warren has teamed with a New Age mystic to aid him in his training program at his Saddleback Church. Pope Benedict XVI was literally wearing the robes of Lucifer while he held aloft the Black Magick "Twisted Cross Crucifix"! How many of the adoring faithful realized what that he was leading them all into a worship of Lucifer. How many of the "Hall of Shame" Evangelical Christian leaders who promoted Pope John Paul II after he died really know that they are leading their people up the "Judas Ramp" into the arms of the future False Prophet - whomever the Roman Pontiff is at the time of Antichrist. * "COMPASSIONATE DOCTORS -- OR -- NAZI DOCTORS?" "Deathmaking" is now a global scourge. While Europe is further down this road than America, the last 10 years have seen a rapid closing of the moral gap, as evidenced by Terri Schiavo. We shall examine the moral Abyss into which enough of our medical people have fallen into which renders the next Holocaust inevitable, and so close we can see the outlines on the horizon. Your loved one may be the next victim! Is this result the REAL reason the Bush Administration has threatened Iran with severe attack for 2 full years now, only to back down each time? Has America's dependence upon high technology to fight the Russian Navy doomed our forces? This CDROM contains all the Power Point Slides From his Seminar "Outcome Based Religion: Apostasy, Purpose, and the Paradigm Shift" -- This exciting CD will show the actual powerpoint slides Mr. Dominick shows in this seminar, in the exact order in which he presents them. Thus, after you see his video, you can take these slides and prepare your own presentation! So many people will want to present this material to their pastor, to deacons, and to friends. Now, you can prepare your own presentation! Mr. Dominick has prepared almost 160 colored powerpoint slides to help you deliver a professional presentation on the dangers of this "Purpose Driven Church"! You can modify this presentation, putting your own unique style on this most important subject. An illustrated A-Z Dictionary of the People and Places in Scripture. This illustrated, easy-reading A To Z dictionary is loaded with fresh and surprising insights about the most important people and places in the Bible -- 500 in all. 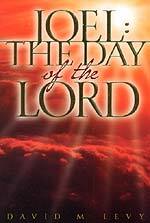 With this resource, you can study one name a day that the Bible gives our precious Lord Jesus! 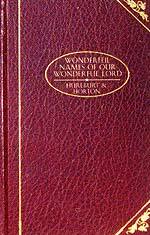 What a wonderful study resource for your daily devotions. In Ancient Hebrew, the names given people were specifically chosen because of their meaning. The Names given our Lord Jesus in the Bible reveal His many faceted Nature, an understanding so necessary in today's apostate-driven world. 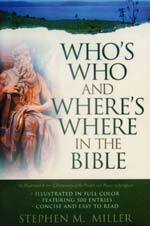 The delightful classic novel now over 100 years old which asks the timeless question, "What Would Jesus Do?" 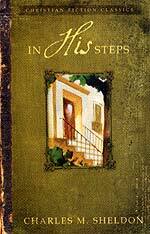 During this age when men, women, and children cannot stand sound instruction, classic books like this are sorely needed. Perfect for homeschoolers as well. 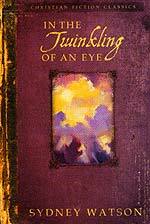 Classic end-times fiction by Sydney Watson based in turn-of-the-century London. During this age when men, women, and children cannot stand sound instruction, classic books like this are sorely needed. Perfect for homeschoolers as well. How can anyone comprehend the true nature of such a closed religious system as Roman Catholicism? We offer two completely different examinations of the Catholic system so you can properly understand how this religion will one day produce the False Prophet who will force all mankind to take the "Mark of the Beast" or be beheaded. "Catholicism: White Sepulcher Christianity" provides the kind of examination which only Cutting Edge can provide. David Bay, Director, assumes the role of the demonic overlord assigned to the Papacy very early in Catholic history. The assignment was to first move Catholicism into a practice of White Magic Witchcraft and then into the prophesied religion of Antichrist, Black Magick Witchcraft. Only when you understand that Catholicism is just a practice of pagan, occult religious systems from Babylon to Egypt to other Mystery Religions can you understand the 1,200-year scandal of priests sexually abusing children, young girls and women through the power of the confessional. Only when you understand the occult basis of Catholicism can you understand what is occurring right now and what the full prophetic meaning is. Regularly $49.94 combined, Sale now only $39.94, Saving $10 over buying them regularly. Another 'End of the Age' spiritual warning from the author of "Deceived On Purpose: The New Age Implications of the Purpose-Driven Church" -- Warren Smith. This book is a sober warning that the current Church is being seduced by the same false teachings and the same false Christ that has drawn many people into the New Age Movement. 'Led down a yellow brick road by Pied Piper spirits, I had, with best intentions, landed in a metaphysical New Age world, where the Christ being proclaimed was not the REAL Christ at all. A well-orchestrated and perfectly timed series of supernatural experiences synchronized to make me think they were coming from God had convinced me that my involvement in alternative spirituality was 'meant to be' by God. Audio CDs hold just over one hour of reading—MP3-format CDs hold over 25. Get all sixty-six books of Scripture on only three CDs! • Disc 1: Genesis–Kings • Disc 2: 2 Kings–Jeremiah • Disc 3: Lamentations–Revelation A translation as richly poetic as the King James Version deserves a powerful reading and clear audio rendering. 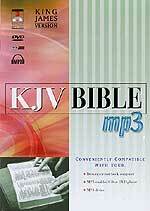 The KJV Bible on MP3 delivers! 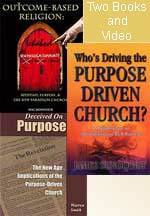 * Purpose Driven Church Combo Offer -- Since Cutting Edge now has the DVD and VHS entitled, ""Outcome Based Religion: Purpose, Apostasy and the New Paradigm Church", we have changed our Purpose Driven Church Combo Offer! Save $8 over buying these three items separately! 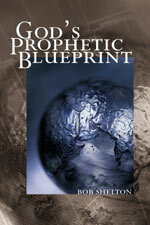 Each book examines the Purpose Driven Church phenomenon from a completely different aspect. "Who's Driving The Purpose Driven Church" demonstrates that this church movement is really Sorcery in disguise and that it draws heavily from the desperately wicked Humanist Psychologist, Carl Jung. "Deceived On Purpose" reveals the strong New Age foundation to Purpose Driven. 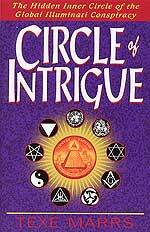 How many of us would ever think the occultic New Age Movement could actually reinvent itself, transforming into a "Christian" church? "Outcome Based Religion: Apostasy, Purpose, and the Paradigm Shift" shows the huge Biblical errors Rick Warren is teaching. 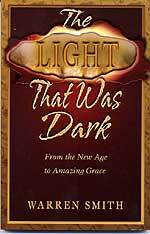 This newly released book also shows that Warren's movement is also contributing mightily to the New Age concept that, before Antichrist could arise, a huge shift in religious thinking -- Paradigm Shift -- must occur. That Paradigm Shift is now under way, greatly propelled by the Purpose Driven Church. I. Once again, the President's own arms investigators admitted last week that there were no Weapons of Mass Destruction (WMD) in Iraq and Saddam did not whisk some WMD to Syria. These twin revelations must have come as a huge unpleasant shock to all people who were still holding out hope that President Bush had not lied when he based his invasion on WMD, that Saddam had just gotten them out of country into Syria. Let us review this dynamic news story. "The US chief weapons inspector, Charles Duelfer, has said inquiries into weapons of mass destruction in Iraq have 'gone as far as feasible'. 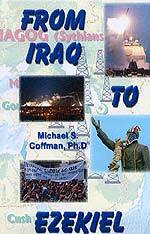 Mr Duelfer also said an official transfer of WMDs to Syria ahead of the Iraq war was not likely. The CIA adviser reported last year that neither expected stockpiles of chemical or biological weapons, nor evidence of recent production had been found ... 'After more than 18 months, the WMD investigation and debriefing of the WMD-related detainees has been exhausted', Mr Duelfer, head of the Iraq Survey Group (ISG), wrote in a 92-page addendum to the report issued in October." For many months ahead of President Bush's invasion of Iraq, Cutting Edge took a very strong stance, warning that Bush Administration officials had clearly not proven their case that Saddam Hussein possessed Weapons of Mass Destruction (WMD), some of which were said to be ready to fire against neighbors within 45 minutes! Upon which basis did we reach this analysis? We post between 50-100 articles every single day in Daily News Updates, most of which are from foreign news sources, sources which are not as controlled as American news media. Commentator after commentator had demonstrated that the sources the Administration was quoting and the method of analysis used to interpret the source information were deeply flawed - so deeply flawed that they questioned whether Bush and Rumsfeld were deliberately lying. We encourage you to carefully read these articles, posted early February, 2004. In this article, we recalled our much earlier warnings that no firm case had been made that Saddam possessed WMD, and related how deceptively Bush and Rumsfeld had acted in their attempts to deceive the American people. This latest news story simply validates everything Cutting Edge has been saying about WMD since late 2002. Within six months of occupying Baghdad, discerning people began to wonder out loud where the WMD were located; they realized that no American or British forces had discovered the laboratories and the equipment which America boldly had beforehand proclaimed that we knew exactly where they were located. President Bush ordered his own arms investigators to redouble their efforts to find this WMD. "VIENNA (AFP) - The UN atomic agency has postponed until June a decision on whether to give current chief Mohamed ElBaradei a new term ... The United States officially opposes ElBaradei, 62 .... but it also argues that the former Egyptian diplomat is not tough enough on Iran, which Washington alleges is hiding a covert nuclear weapons program. ElBaradei also provoked the ire of Washington for using his position as IAEA chief to question U.S. intelligence that Iraq had weapons of mass destruction under now deposed dictator Saddam Hussein." To counter the reality that no WMD was being located, the Washington rumor propaganda mills began to whisper that the reason no WMD was being found was because Saddam had brilliantly secreted it out of the country into Syria. Some news reports even hinted that American Intelligence knew the exact coordinates of these deep underground caverns. But, now the US chief weapons inspector, Charles Duelfer, is publicly admitting that no weapons were ever spirited away into Syria! This entire lying campaign marks just one more instance of rotten spiritual fruit emanating from President Bush! Every American soldier who has been killed or wounded thus far has died for a lie. Every soldier and his wife who comes down later with fatal Depleted Uranium poisoning will agonizingly die in vain. This is the reality of our war in Iraq. Are you courageous enough to believe it and comprehend the truth? If you are a pastor who stood in your pulpit, justifying President Bush's invasion upon the shrill false propaganda coming out of the White House, are you now going to be courageous enough to stand in your pulpit again, telling your members that all this justification for war was simply and only a lie? * Most pastors have developed a strategy for church growth that includes such factors as constantly stimulating strong patriotism combined with strong support for the Bush Administration. They will not allow the truth to be told if it would damage this portion of the growth strategy. These pastors are more dependent upon their human strategy that they are the Holy Spirit. * Too many pastors have the mistaken idea that a pastor must be seen by his congregation as being virtually without error. To admit an earlier mistake from the pulpit might damage or destroy that carefully cultivated aura. * Too many pastors are spiritually blind, accepting President Bush's carefully orchestrated statement of faith, while ignoring all his provable bad spiritual fruits. Such pastors have propagandized minds, which are virtually impossible to change with something so "minor" as the truth. But, this story presents you with the opportunity to gain an honest view of your pastor's heart. If you present him with this truth, coming from the mouth of the President's own arms investigator, and he refuses to alert his church members, you will know the truth about your pastor! Any pastor who tolerates a "Sin of Omission" because of fears about his growth strategy is in real trouble with Jesus. What does the Bible say about hidden sin in a person's life? And, how serious a sin will cause the Holy Spirit to write "Ichabod" (the Glory has departed) over the top of your church if your pastor is tolerating a "Sin of Omission"? "Do you not know that just a little leaven will ferment the whole lump of dough?" [1 Cor 5:6b; Parallel Bible, KJV/Amplified Bible Commentary] Just a little sin! II. The American Chairman of the Joint Chiefs of Staff admitted this week that the military capability of the Iraqi insurgency was undiminished from a full year ago; then he got rather defensive as to whether this admission meant that Coalition Forces were not winning the war! "The Iraqi insurgency is just as strong now as it was one year ago, the most senior US military officer, Chairman of the Joint Chiefs of Staff, General Richard Myers has admitted ... He acknowledged that insurgents were capable of surging to higher levels of violence as they did before the January 30 elections. 'I think their capacity stays about the same and where they are right now is where they were almost a year ago', he said." This admission is shocking, indeed, coming from the Chairman of the Joint Chiefs of Staff. This admission means that a full year of strong military action against the Iraqi insurgency has not diminished their capability one iota! All the invasions of cities like Falluja, all the Depleted Uranium munitions expended, and all the tortures of Iraqi civilians in prisons like Abu Ghraib has not degraded the military capability on the enemy at all. The usual response to an admission of this caliber is to question whether American forces are winning the war, or whether we are losing. Evidently, this question was hanging in the air, because General Myers responded in a manner which suggested that he was suddenly on the defensive.
" 'I'm going to say this: I think we are winning, okay'." Can you just hear the defensive tone of voice from this general? "I think we are winning --- okay?" III. The Iraqi insurgency struck hard and often last week, often with great efficiency, delivering hard blows against the Iraqi government. "BAGHDAD Three men with pistols shot and killed an Iraqi legislator on Wednesday at the front gate of her home here in a daylight attack that marked the first assassination of any of the 275 members of the parliamentary body elected on Jan. 30. The slain legislator, Sheikha Lamea Khaddouri, a member of the party of the interim prime minister, Ayad Allawi, and a high-profile human rights activist, was gunned down about 3:30 p.m. in the Shiite neighborhood of Binouq, in eastern Baghdad, where she lived with her brothers in a modest home amid olive trees set back from a wide street." Khaddouri, one of 90 women in the National Assembly, had survived two assassination attempts, one when she was fired on as she was parking in a garage and another when gunmen attacked her as she was driving in the capital, destroying her car. She had moved from house to house in Baghdad in an effort to foil further attacks. According to the accounts of a bodyguard and one of her neighbors, Khaddouri had just been dropped off at the driveway that leads to her front gate. She walked through the black iron gate and closed it behind her. As she made her way to her front door, the three killers hopped out of their sedan and knocked on the gate. One called her by her name. "They knocked at her gate and she went back to open it, and then she got shot directly', 1st Lieutenant Sabah Sahr of the Quds police station said. Khaddouri suffered eight bullet wounds to her face and chest, he said. Khaddouri's bodyguard, interviewed at the police station, said he had driven his car away after dropping Khaddouri off. Earlier in the day, Khaddouri was interviewed on television, according to her brother, Amar abd al-Khaddouri, a dentist. "She was always afraid to be on TV," he said. The security guard said that after she finished the interview, she said, "I'm afraid they will kill me because I've been on TV." One can only wonder why she was not afforded security protection by American, British, Iraqi troops, or the many private contractors serving in Iraq. I guess the answer is that, if American convoys cannot be adequately protected as they move along Iraq's roads, then we do not have enough military in the country to provide security for Iraqi Ministers of Parliament. What must the other 274 Ministers of Parliament be thinking now? "BAGHDAD, Iraq (AP) ... insurgents launched a series of attacks in Iraq on Friday, killing at least 14 Iraqis and wounding 50, officials said. The worst-hit area was a district of Baghdad where four suicide car bombs exploded, hitting Iraqi soldiers and police and Iraqi civilians on a Friday, the Muslim day of worship for most Iraqis. An American soldier also was killed and four were wounded in a roadside bomb attack in Hawija, 150 miles north of Baghdad, on Thursday." 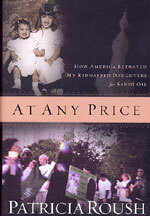 "In the Azamiyah section of Baghdad, the first suicide car bomb hit an Iraqi army patrol, the second a police patrol, and the third and fourth - in quick succession - separate barricades near the headquarters of the Interior Ministry's local special forces unit ... the three attacks killed a total of at least 13 Iraqis, including seven soldiers, one policeman and five civilians, and wounded 48 Iraqis, including 35 civilians and 13 soldiers ... in Baghdad, gunmen opened fire on a police patrol, wounding one policeman ... In southern Iraq, where Britain's forces are based, a roadside bomb targeting an Iraqi border guard patrol west of Basra killed one soldier and wounded two..."
"WESTERN security companies in Iraq have suffered their bloodiest 48 hours since the start of the insurgency, losing at least 14 personnel in attacks ... In the worst incident, militants are suspected of shooting down a civilian helicopter 12 miles north of the Iraqi capital, with 11 people on board - six from the United States, three Bulgarians and two Filipinos. An Iraqi insurgent group claimed it shot down the helicopter and killed the only survivor ... More than 200 foreign contractors have been killed in Iraq over the past two years, with insurgents frequently targeting those traveling to Baghdad airport. "The three latest contractors to be killed in such an attack were named by their employer, the Australian company Edinburgh Risk ..."
IV. As Iraq's "Hostage Cabinet" takes office, all the elements for a civil war are now in place. "As things stand, there's not a chance of the new government and parliament writing a draft constitution by mid-August ... Ominous signs abound. Moderates are dwindling ... The unsettling feeling about the cabinet is that it is hostage to a big picture it won't be able to control. This is because the foundations for a new Iraq ... simply do not exist. The country's infrastructure and administration were totally devastated ... Major players - fiercely against the occupation - are absent from this cabinet or any previous interim government. Scores of employees in most Iraqi ministries simply don't go to work ..."
"With unemployment at a staggering 70%, many won't think twice to secure a US$400 monthly salary as a police officer; but when the going gets tough, as it does on a daily basis, these forces instantly dissolve. There are even more ominous prospects ... A least six militias are rampaging throughout Iraq, armed, trained and funded by the Pentagon. One of these - the powerful Special Police Commandos, with at least 10,000 men - as already acknowledged by US generals - is widely involved in applying the dreaded 'Salvador option' (assassinations) ... the resistance keeps averaging at least 60 attacks a day - and counting. Economic sabotage - the repeated bombing of electrical plants and oil pipelines - is relentless." "The Marines also have their own pet militias, such as the Iraqi Freedom Guard and the Freedom Fighters: these are usually Shi'ites from the south sent to fight against Sunnis ... the moment the majority of Sunni Arab public opinion equates illegal occupation to the Shi'ites, Kurds and the political process, civil war is inevitable. There's nothing this hostage cabinet can do about it. We're not there yet, but it's getting closer by the minute." From the beginning, Cutting Edge argued that our invasion of Iraq had nothing to do with helping the poor, defenseless Iraqi population. Rather, we were there to simply stir up Islamic hatred of everything Western -- American, British, Israeli -- so that a regional war would be inevitable, blowing up into the planned World War III -- out of which Antichrist will come striding. Every action American forces have taken -- indiscriminate killing of civilians, ruining sacred mosques, the sexual and torture scandal of Abu Ghraib, the spreading of the deadly Depleted Uranium, and the encouragement of sectarian violence between Sunni, Shi'ite, and the hated Kurds -- is bringing Iraq closer to the kind of civil war which could ignite the entire region. V. As oil prices began to ease slightly from their record highs, several news stories appeared which cast the whole affair into its proper perspective. "PORT-OF-SPAIN, Trinidad (AP) -- Global petroleum markets aren't short of crude oil and may even be oversupplied, Iran's oil minister said Tuesday. ' I think the market is oversupplied', Bijan Namdar Zangeneh told reporters during a natural gas conference in Port-of-Spain, Trinidad. /We have not difficulties on the supply side'." For a long time now, we have stated that this steep rise in oil prices is being artificially stage-managed. The problem is NOT in the supply of either crude oil or finished oil products; rather, the problem lies with the desire of Bush Administration officials to create an "oil crisis" so they can get drilling in Alaska, so their friends in the oil industry get greatly increased profits on their way to the New World Order, and so the increase in cost can help fund the budget deficit! * Newsletter for March 26, 2005 - Paragraph VIII - "Proof You Are Getting Robbed At The Gas Stations"
To gain a true understanding of the real power behind this current spike in oil prices, let us go back to the 2004 Presidential campaign, and listen to a charge Senator Kerry made that seems a whole lot more relevant today than it did back then. "Denver - In a last-minute flurry of accusations before their final debate, challenger John Kerry tried to tie President George W Bush to record oil prices ... The record price of oil 'means a lot more profit for this president's friends in the oil industry. But for most middle class Americans, the Bush tax increase is a tax increase that they can't afford', Kerry said in New Mexico." We could not have said it better! We agree with Federal Reserve Board Chairman, Alan Greenspan, that these oil prices are not being driven upward by any market condition, and will begin to come down once the "problems" causing them are solved. What are these "problems"? We believe part of the answer is that the oil industry wants desperately to begin drilling in Alaska and to achieve permanent higher profit margins. This week, British Petroleum (BP) announced a whopping 29% increase in quarterly profits! Asia Times posted an excellent article showing how the Bush Administration is using a combination of its aggressive military posture throughout the Non-Integrating states region, plus deliberately high oil prices, to fund its massive deficit and keep foreigners anxious to buy American currency! This article is much too long and complicated to print here, but it is so right on the money, we encourage you to read it carefully, thoroughly. Key quote of this article: "The United States is extracting tribute on oil from the world. If the world wants Middle Eastern oil, it can pay for it through the Saudi branch of the US Treasury ... The United States is well paid for keeping the world's supply of black gold safe and available to all. Unlike the Vietnam era - when the US was trying to finance guns and butter - getting others to pay now for our guns allows us to milk the oil out of the sand and turn it into butter." Now, you know the complete truth as to why President Bush and his officials are artificially driving the price of oil skyward! VI. As rumors circulated that America had now encircled Iran with airbases in preparation for an attack, we need to look backward in time to get proper understanding. "US Defense Secretary Donald Rumsfeld visited Azerbaijan (an Asian republic of the former USSR) on Tuesday, April 12th. It became Rumsfeld's second visit to the republic in four months ... A lot of experts in Azerbaijan estimate the cooperation between Baku and Washington against the background of intense relations between the USA and Iran ... The USA is interested is airbases, from which it would be good to strike targets in Iran." Predictably, Iranian leaders were adamant, even arrogant, in their rhetorical response to American threats. "TEHERAN - President Mohammad Khatami said on Monday that Iran is willing to pay any price to resist external pressure and threats. 'We will not surrender to any force or threats and will decisively go on with our vision of an Islamic democracy', Khatami said during a speech on National Army Day. The U.S. has vowed to cooperate with the European Union until summer in the effort to persuade Iran to cease its nuclear activities but President George W. Bush did not rule out the military option if the talks with the E.U. fail ... Teheran condemned the move and warned it would take legal action against Washington before the International Court at The Hague." "The United States will decide this summer whether to adopt a tougher position on Iran's nuclear program, US Secretary of State Condoleezza Rice said in an interview with The Wall Street Journal ... Rice's comments come following Prime Minister Ariel Sharon's Wednesday statement that Israel has no plans to attack Iran's nuclear facilities. Sharon's pledge came amid reports that a rift with the US has emerged on how to respond to Teheran's nuclear program. Sharon, in an interview with Fox News aired in the US on Wednesday evening, said that a nuclear Iran is a world problem, not only Israel's, and that Israel is not leading the campaign against it." So, Secretary of State Rice says the U.S. will "decide this summer" what it plans to do about Iran. Should we attack, or should we not attack? Cutting Edge has noted that our Daily News Updates Archives demonstrates that American public rhetorical threats against Iran began in the Summer of 2003 and have continued unabated. However, we have not militarily struck in these past two years, despite our many loud words of war. Let us now review an article during the past Presidential campaign, as the threats against Iran abruptly changed into an "October Surprise". "According to White House and Washington Beltway insiders, the Bush administration, worried that it could lose the presidential election to Senator John F. Kerry, has initiated plans to launch a military strike on Iran's top Islamic leadership, its nuclear reactor at Bushehr on the Persian Gulf, and key nuclear targets throughout the country, including the main underground research site at Natanz in central Iran and another in Isfahan. Targets of the planned U.S. attack reportedly include mosques in Tehran, Qom, and Isfahan known by the U.S. to headquarter Iran's top mullahs ... According to White House sources, the USS John F. Kennedy was deployed to the Arabian Sea to coordinate the attack on Iran ... Rumsfeld and defense ministers of U.S. coalition partners, including those of Albania, Azerbaijan, Bahrain, Bulgaria, Czech Republic, Denmark, Estonia, Georgia, Hungary, Iraq, Latvia, Lithuania, Macedonia, Mongolia, Poland, Qatar, Romania, and Ukraine briefly discussed a very 'top level' view of potential dual-track military operations in Iran and Iraq in a special 'war room' set up on board the aircraft carrier ... Israel has been supplied by the United States with 500 'bunker buster' bombs. According to White House sources, the Israeli Air Force will attack Iran's nuclear facility at Bushehr with the U.S. bunker busters." Obviously, no "October Surprise" attack against Iran ever occurred. We believe three reasons continue to mitigate against any American attack against Iran -- at least a significant attack which would overthrow the anti-American regime currently firmly in power. 1. American forces are simply not up to the task -- "16 U.S. Naval Ships At The Bottom of the Persian Gulf! Includes One Aircraft Carrier Destroyed - Recent War Games Disaster" - NEWS2026. We consider this article to be of utmost importance in understanding why American policy has been rhetorically white-hot while timid in reality. 3. One shot in the Middle East in Iran's direction would cause such an explosion in oil prices that the shock might be enough to sink all Western stock markets. Everyone knows the truth of what we reveal, above, in NEWS2026, that Iran has supersonic missile capability, plus advanced Russian air defense systems; she can use these capabilities to completely stop oil tanker traffic in the Straits of Hormuz. If Iran really does possess nuclear weapons as that Russian general stated in 2002, she could arm one of her supersonic missiles with a nuke and explode it high over the train of oil tankers traversing the Straits of Hormuz. Panic would immediately ensue, cauing oil prices to skyrocket and stock markets around the world crash. While a complete collapse of all economies is planned, its timing will not occur until all other elements in the World War III scenario are in place and ready to go. These other factors are simply not in final phase right now, but will begin to form in that position once Israel has completed her transfer of Jewish population out of the Gaza Strip and the West Bank -- an operation planned to commence August 15. But, for now, Iran sits with these weapons, waiting to use them the second they see incoming American planes on radar. VII. The conclusion of the unprecedented Asia-Africa summit this past week ended with a shocking surprise: an announcement of the desirability for the New World Order! "African and Asian leaders, representing two-thirds of the global population, met in Jakarta, Indonesia, on Friday to discuss ways of achieving 'a new world order'. The talks were part of the Asia-Africa Summit (AA) co-hosted by Indonesia and South Africa ... 'Your peoples pay the highest price for inaction in the face of massive violations of human rights, and for the strains placed on the UN's peacekeeping, peace building and human rights machinery', Annan said." "He said developing countries suffered more than any others from the proliferation of small arms, light weapons, the scourge of landmines, and often bore the brunt of acts of terrorism and the events they unleashed. He urged African and Asian leaders to attend the next UN meeting in New York in September, in force and well prepared in order to effect the necessary changes ... 'The most fundamental, he said, was the right to life. No person should die because they are too poor to live'." 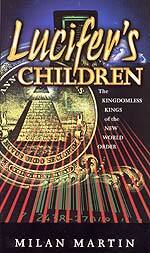 Yet, the requirement placed upon the Illuminati by the prophecy of the Book of Revelation is severe. Bible scholars have long realized that the term "all" means the entire world, at least those who are still alive at the time the False Religious Prophet holds the worldwide event at which all people will be forced to take two actions, or die: 1) Profess love for and loyalty to, Antichrist; 2) Take the "Mark of the Beast". Therefore, as we return to our original question as to what would happen to those backward nations - mostly in Africa and parts of Asia -- whose economies are so backward they could never achieve cashless capability in the foreseeable future: I believe they will be annihilated as these prophecies foretell. Do the leaders of these nations at this conference know their probable end if they cannot successfully prod their nations into this cashless economy as soon as the Illuminati wants them to? VIII. Israel continued to quiver on the brink of massive civil unrest over the Unilateral Disengagement Plan to which Prime Minister Sharon has committed Israel. "IDF has begun preparing for the day after the disengagement. A senior IDF official told Ynet the military’s preparations for the day after the disengagement are underway at full steam ... the official said they are experimenting with a system, capable of locating suspects, photographing them and transferring the picture to a control room; the system’s response includes an ability to receive open fire orders from a distance ... immediately after the pullout only a third of all Gaza Strip troops would be relocated back into Israel ... In a few months, the existing IDF posts, scattered throughout the Strip, in between the various settlements will be transferred into Israeli territory and become the first line of defense to prevent terrorists from penetrating into the residencies located around the Strip." High-level IDF generals have repeatedly warned the civilian leadership that they expect a tremendous upward surge in terrorist attacks following Israel's complete withdrawal. These generals are looking at reports of Palestinian stockpiles of shoulder-fired missiles and other modern weapons with which they could challenge Israel's military supremacy. These generals further worried about the reality that Palestinians could move these weapons right up to their new border with Israel, placing many more urban areas directly under the threat of attack. In NEWS1057, we report a plan devised between the Palestinians and other Arab nations surrounding Israel for the coming all-out war. This plan called for the Palestinian Authority to accumulate weapons with which to form a strong, capable para-military force. This force would then attack Israel from within and from close range, hoping to throw the IDF into disarray. Then, once the IDF had committed sufficient forces to put down this Palestinian attack, the combined armies of Syria and Egypt, and possibly Jordan, would attack from without. This is the planned war which will trigger the planned World War III and the prophesied annihilation of the Palestinian people (NEWS1422 and NEWS1620). This current news article reveals how much preparation the IDF is making to be ready for this coming war, using the withdrawal as a cover for their preparations. As the IDF is making preparations for "the day after" the disengagement, an Israeli Minister of the Knesset (MK) actually urged massive civil disobedience! "MK Aryeh Eldad (National Union) told tens of thousands supporters of Jewish Gaza to prepare for mass "civil disobedience" to block the proposed evacuation of Jews from 21 communities. spoke to the crowds Wednesday after completing a 13-day march of 220 kilometers (137 miles) from northern Samaria to Gaza. "An historic injustice is on our shoulders. We are fighting for our homes," Eldad told the huge afternoon rally in N'vei Dekalim. "If [security forces] close Gush Katif, no one will travel in Israel. We will stop the country. No one will fly, no one will travel and no one will walk if Jews are not allowed to live in every place in the Land of Israel." "Eldad called on government employees not to be "cogs in a machine of destruction" and told the crowd to be prepared to be arrested and go to jail for breaking the new government law that prohibits crowds from gathering in Gaza during the planned evacuation." Now, that is quite the call to arms from a Minister of the Knesset! This elected official is actually urging the civilian population of Israel to go on a widespread crime spree! He is urging them to act against the law of the land in opposing Sharon's Unilateral Disengagement Plan. I believe this is the first time a responsible elected Israeli official has ever suggested such a thing! Most Jews still carry the frame of mind born out of the Nazi Holocaust, where they revere the state of Israel above all other matters. Therefore, this kind of emotional, uncharacteristic call to public disobedience truly reveals the extreme state of mind of Jewish citizens regarding this planned unilateral withdrawal of Biblically-mandated lands. During this type of an emotionally charged atmosphere, an assassination -- or attempted assassination -- of a Sharon official would throw Israel into unprecedented turmoil and would undoubtedly give the Sharon government the clear edge in being able to massively crack down on the dissenters (NEWS1961; NEWS2007). If such a deplorable event does occur, the discerning person must immediately think "government provocateur"! IX. Study carefully the shape of this synagogue in the Gaza Strip, for it is shaped in the form of the evil hexagram of Black Magick Witchcraft and in the colors of the Israeli flag. We explain the occult, Illuminist significance of this evil symbol on the Israeli flag in NEWS1593, entitled, "American Jewish Citizen Outraged That President Positioned Himself In Front of the Illuminist Protocols of the Learned Elders of Zion Symbol -- the Israeli Flag". This synagogue is located in the Gaza Strip and is most definitely representative of the "synagogue of Satan"! However, since this synagogue is located in the Gaza Strip which is targeted for withdrawal, it may be demolished once the settlers and the IDF are completely pulled back. Let us now review this story. Make no mistake about the fact that this unilateral withdrawal from the Gaza Strip and portions of the West Bank is going to roil Israel in an unprecedented manner. Should any violence occur during this withdrawal, the religiously observant settlers will suddenly discover that they are facing a most organized, polished, and professional enemies imaginable: the Illuminist government of Israel, backed by the professional generals of the IDF, intent upon destroying them and their religion forever (NEWS1941). X. Jack van Impe was the latest Evangelical Christian leader to shamelessly jump on the Papal bandwagon last week! His remarks also reveal his hatred for Fundamentalist Christians! "Rexella: Did Pope John Paul I defend the faith? And what was the pope’s greatest achievement politically? And a farewell to Pope John Paul II. Stay tuned for this and much more in Jack Van Impe presents— The pope graduated his life and he went home to heaven. to begin this program, on a beautiful letter that we received a little while ago from a girl by the name of Noreen Badiston. I want to thank her for this. “Many thanks, Dr. Van Impe, for the words of praise you often speak on your program about Pope John Paul II. He is a good and holy man. It is refreshing to have an evangelist who defends the Catholics instead of criticizing and condemning us..."
Yes, it is true! Jack van Impe has been telling his viewers for over 6 years now how wonderful and Godly the Roman Catholic Pontiff is and how wonderful John Paul II has been in sharing the "Gospel" to untold millions of people worldwide. 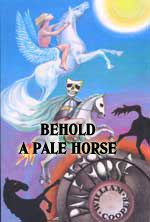 Many anguished former van Impe supporters have contacted Cutting Edge over the years, pouring out their hearts, wondering how a man who had upheld the core of Evangelical beliefs for so very long could now suddenly turn to support this most pagan religion! Cutting Edge remains committed to exposing the Roman Catholic Church as the deeply Black Magick system of worship it truly is; as I have stated on so many occasions, the more I understood Satanism the more I understood the Roman Catholic system of worship. You can never understand the incredibly sinful sexual abuse of young altar boys by Catholic priests unless you comprehend that this behavior springs naturally from a practice of Satanism; this is the reason that Catholic priests have been preying sexually on their adherents for over 1,200 years! If you have not ever listened to my proofs that Roman Catholicism is simply a practice of White Magic Witchcraft, please examine our proofs in our 4 hour video, "Roman Catholicism: White Sepulcher Christianity" -- DVD - VHS. 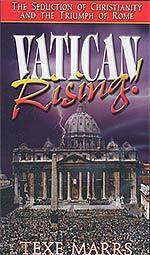 Now, let us return to this Jack van Impe program praising Pope John Paul II. "... we all recognize that Jack has tried over the many years to unify the body, the body of Christ. No matter what your denomination might be in the Protestant arena. He wants to unite them and unite them with our brothers and sisters in the Catholic Church, the Orthodox Church. If you have Jesus in your heart, we are brothers in the Lord. Jack: That’s why First Corinthians chapter 12 verse 13 says, 'For by one spirit are we all baptized into one body, the body of the Lord Jesus Christ'. The true church." Jesus prayed that His Father would keep His true church and His true followers as one; and how, does He define a true Christian and a true Church? Those who follow after Truth -- Biblical Truth. Jack: "Now, next week—and I want you to get the word out—I am going to make a confession that’s going to shock you. I have been a changed man. I have read over 500 sermons that Pope John Paul delivered in L’ Observator Romano, the paper of the pope for over 152 years. And oh, what a blessing he has been to me. Rexella: "There was a time when I was one of these right-wing fanatics. 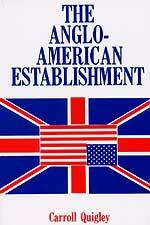 A right-wing fundamentalist who preached against everyone and everything, in the ‘70s. And then I had an experience that changed my life and brought me to the point where I started loving my Catholic brothers and sisters ... this pope was exceptionally loved and respected by the world. I think we all admit that. Four million people showed up in Rome for his funeral." * This pope was courageous. He was not afraid to expose some of the liberalism and even apostasy coming into the church. He tried to stop it. He was courageous. -- Pope John Paul II did try to fight Catholic Liberalism and force the church back into the Traditional mold; however, does anyone remember that it was the Traditional Catholic Church which slaughtered so many Protestants and Baptists through the 1,200-year Inquisition? * "He has really stood out when it came to the Jewish people"
Then, van Impe stated that the Pope stood firmly on the Biblical truth that there is only one way to Heaven. John Paul II did stand firmly in his insistence that there is only one way to heaven, but that"one way" was through Catholicism, the necessity of confessing sins through the priesthood, and other Catholic pagan abominations. Jack van Impe thus has long ago joined the Evangelical Hall of Shame, as he leads his flock of followers into the arms of the future False Prophet -- the Roman Catholic Pontiff! Notice of Correction: In our 4/9/2005 Newsletter, we stated that 117 Cardinals were eligible to vote to elect the new pope. We were quoting the Roman Catholic website, Catholic Hierarchy -- http://www.catholic-hierarchy.org/bishop/scardc3.html -- as the basis for our number. At the time of the actual vote, only 115 Cardinals actually went to Rome; some subscribers have written in to say that two of the eligible Cardinals were too ill to make the trip to Rome, and since no one can vote "in abstentia", the number actually dropped to 115. But, the fact remains that 117 Cardinals were under the age of 80 and eligible to vote. Had these two Cardinals not been ill, the number of voting Cardinals would have been 117. We have made the correction to our April 9 newsletter. When Jesus gave Himself for us, He gave us all the rights and privileges which went with Himself; so that now, although as eternal God, He has essential rights to which no creature may venture to pretend, yet as Jesus, the Mediator, the federal Head of the covenant of grace, He has no heritage apart from us. All the glorious consequences of His obedience unto death are the joint riches of all who are in Him, and on whose behalf He accomplished the divine will. See, He enters into glory, but not for Himself alone, for it is written, "Whither the Forerunner is for us entered." Heb. 6:20. Does He stand in the presence of God?--"He appears in the presence of God for us." Heb. 9:24.